Now where did I leave that plow? 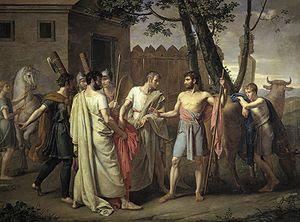 Lucius Quinctius Cincinnatus agrees to leave the farm for a spell. ﻿﻿﻿For whatever reason, people keep mistaking me for someone with ambition. For almost five years I've been reluctantly chairing a committee to revise the general education core. As of a week ago Thursday, that job was done. I'm sure I mussed a few people's hair along the way, and I acknowledge with regret that I could have done any number of things differently or better. Even so, I won't apologize for the results. We created a core that is assessable, we sutured its outcomes to the curriculum in the majors, we reduced and streamlined the outcomes, we expanded the first-year experience, and we created on-going over sight. This is not a 'set-it and forget-it' core. More importantly, we did all this without the usual turf wars that often accompany large-scale instututional change. So it rankles just a bit to receive an email offering me tepid congratulations, passing along some anonymous criticisms and sarcastically looking forward to my "future leadership." The criticisms I accept, and the fact that not everyone likes the new core was probably ineveitable. But my future leadership? During this process, I ended the program I was responsible for. I happily passed on the chance to become the new core director, gave back a budget to the university and created the position of my future supervisor. 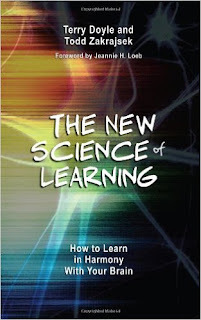 And now that the work is done, I am elated to crawl back into the classroom and do the work of teaching. Just teaching. Period. That's all I ever wanted.